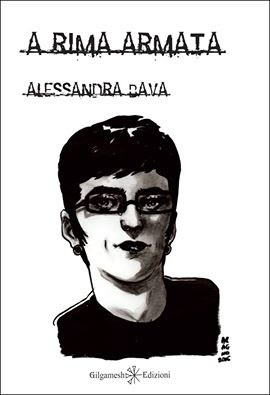 My Italian poetry collection A rima armata (Loaded Rhymes) has just been published by Gilgamesh Edizioni and I will be presenting it here in Rome next June 10. I must honestly say that I am quite proud of the poems included in this collection. There are some strong poems in it. The focus is social and revolutionary. I am truly grateful to Andrea Garbin for having selected my work for publication. I am also glad of being part of a series alongside poets I am very fond of such as Alejandro Murguia and Beppe Costa. I was honestly terrified that the cover had to be my own portrait! But, I am glad Rachele Aragno, a lovely artist, did such a great job. A book is like a son, I hope those of you who read Italian will hold a copy of my latest work in their hands and give it some love, soon!